A Simple Fix For Replacing Your AC’s Refrigerant – At Your Service Air Conditioning & Heating, Inc. The current phase out of refrigerant in residential and commercial properties leaves home and business owners with unanswered questions. The good news is, At Your Service Air Conditioning is here to provide clarification and ensure your home comfort is protected throughout this transition. 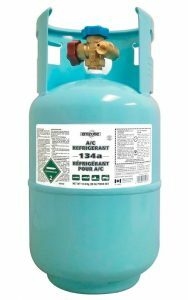 Approximately 25 years ago, the U.S. Environmental Protection Agency (EPA) mandated the phase out of R-22 refrigerant, sometimes known as R22 Freon or HCFC-22 Freon, as the result of growing environmental concerns. Acting in accordance of The Clean Air Act, the phase out was enacted to protect the Earth’s ozone layer from the ozone-depleting compound (chlorine) found in R-22. As far back as the 1970s, the EPA determined that R22 was partly responsible for the depletion of the ozone layer, a part of the earth’s atmosphere that is vital in protecting us from harmful UV radiation. A damaged ozone layer is tied to increasing temperatures, which can be harmful to people and crops, and to sun damage that can lead to cataracts and skin cancer. Production of new air conditioning units charged with R-22 ended in 2010, and prices of R22 refrigerant have been rising and are expected to continue to rise. By the time the phase-out is complete, R22 will most likely be very expensive. By the year 2020, 99.5% of R22 will be phased out and banned from production. Availability of R22 will be limited since it cannot be purchased new. Even if you need a recharge of R22 in the future, there can be no guarantee that the refrigerant will be available. How will this impact the cost of repairs to your HVAC system? Do you need to replace the entire unit? What are your options? If your air conditioner was manufactured before 2010, it probably utilizes R-22. The good news – existing units using R-22 can continue to be serviced with R-22 as there is no EPA requirement for change or conversion of these units. More than likely, your heating and cooling units will have sufficient R-22, unless a leak occurs. Since production is limited, costs to charge existing units leaking R-22 refrigerant have gone up and are expected to rise. The best thing you can do is properly maintain your unit to prevent leaks. You can do so by participating in routine tune-ups in the spring and fall. Remember, routine maintenance is far less expensive than emergency repairs. So definitely look into one of our maintenance programs. 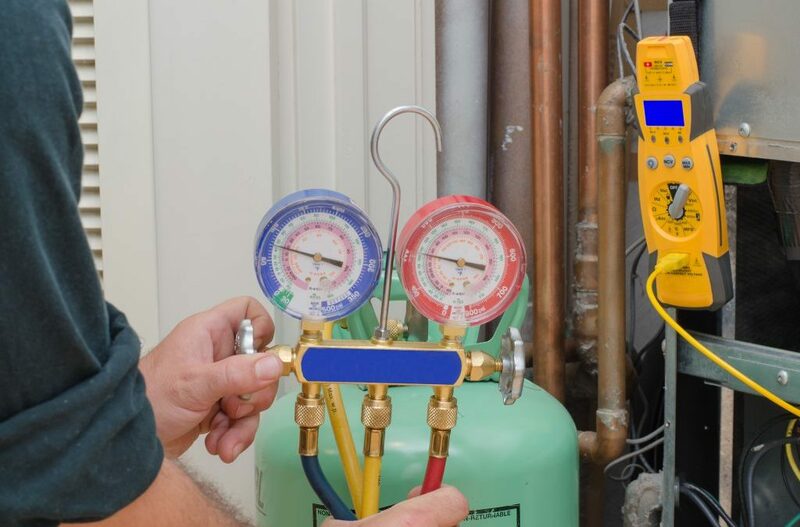 Properly installed AC systems rarely develop major refrigerant leaks, and with proper servicing, a system using R-22, R-410A, or another refrigerant will reduce its impact on the environment. Remember to always select a reputable dealer, like At Your Service Air Conditioning and Heating, to handle refrigerants. As R-22 is gradually phased out, alternative refrigerants are being introduced. One of these substitutes is R-410A, a blend of hydrofluorocarbons (HFCs) that does not contribute to depletion of the ozone layer. R-410A is manufactured and sold under various trade names, including GENETRON AZ-20®, SUVA 410A®, Forane® 410A and Puron®. Retrofit units, converted R-22 units utilizing a substitute refrigerant, are allowed if the alternative has been found acceptable for that type of use. Substitute refrigerants can work well in R-22 units with a few changes to system components. For example, simply replacing R-22 refrigerant with R-410A in a preexisting R-22 unit is not recommended due to its higher working pressure. However, our certified professionals can replace R-22 condensers with R-410A condensers, as long as the system coil is also updated. This provides consistency in the refrigerant cycle, as one cannot be replaced without the other, and allows the retrofit to get you by for several more years. Another important thing a homeowner can do for the environment is to purchase a new, energy-efficient system. Today’s air conditioners use much less energy, provide cost savings in maintenance and electric costs, and offer a green alternative to R-22 units. But what should you know before purchasing a new system? The best time to switch is before you’re hit by the high costs of repairing a refrigerant system. Take into account the age of your current unit (as a general rule, systems should not be older than 10 years); look for the Energy Star® label to save up to 40% on utility bills; and consider the minimum seasonal energy efficiency ratio (SEER) specification.